Wrinkles and fine lines are an inevitable fact of life. Furrowed brows, drinking from straws, and skin dehydration are known common culprits, but Carl Thornfeldt, MD, a New York–based dermatologist and the founder of Epionce Skincare, says there's an invisible trigger that's the main culprit here: pollutants. "The nanosized soot from traffic and indoor and outdoor cooking, especially, activate the aryl hydrocarbon receptor that disrupts crosstalk between the skin cell types and activates inflammation, causing an excessive increase of MMPs [Ed. note: the enzymes that play a large role in skin restructuring], destroying collagen," Thornfeldt says. "The pollutants activate the receptor to a greater degree than UVA rays, according to data generated by the European Institute of Pollution Research in Dusseldorf, Germany, by Krutmann." In other words, these pollutants break down the skin's barrier, leading to premature aging, wrinkles, and—you guessed it—fine lines around the lips. In an attempt to find a powerful weapon against these pollutants, Krutmann and his team tested the efficacy of pycnogenol, an extract from the bark of French maritime pine full of antioxidants, collagen, and elastin. In a study of 20 post-menopausal women, after taking 75 mg of the supplement daily for 12 weeks, they saw a significant increase in skin elasticity and hydration, as well as an increase in the production of hyaluronic acid within the skin (an acid that can hold up to 1000 times its weight in water), reducing visible signs of aging in the subjects' complexions. In a separate study, 112 women who presented signs of photoaging orally ingested the extract for six months to test its efficacy in reducing signs of age spots (the researchers believed pycnogenol would reverse this as well). After the trial was complete, the subjects saw a significant reduction in age spots (take a look at this remarkable before and after photo). 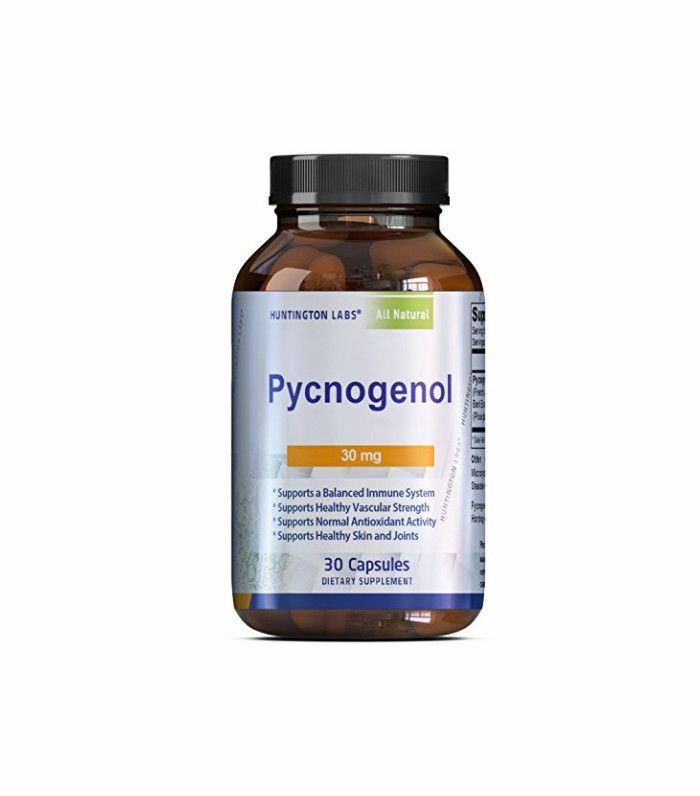 While pycnogenol helps reverse signs of aging after the wrinkles are already present, it's an excellent preventative measure to help prevent lines from forming in the first place by fighting off air toxins and plumping the skin from the inside out. Thornfeldt explains that researchers have said that pycnogenol is "the best supplement to take for anti-aging." 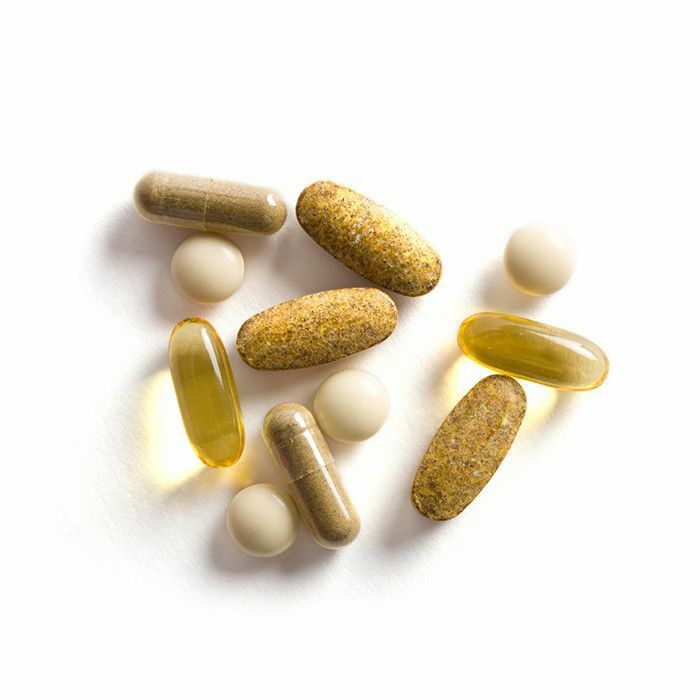 If you're curious how much you should be taking, first, consult with your physician to ensure that it's safe for you to introduce a new supplement into your system. Generally, while no set guidelines exist for recommended dosages, standard supplements are sold as 30 mg–100 mg per capsule or tablet, and you can take up to 100 mg per day for maximum effectiveness. With its anti-inflammatory properties, hydrating abilities, and wrinkle-erasing prowess, we're considering picking up a jar ourselves. Continue fighting wrinkles from the inside out with these anti-aging foods. This article was published at an earlier date. What Strength of Retinol Do You Need?